I am so excited to share the schedule and some more details for the Bag It 2017 event. The fun starts in 3 weeks so it is time to start collecting your supplies and get ready to start your bag making! Just to whet your appetite, here is the overall schedule (subject to change) for the Bag It event! 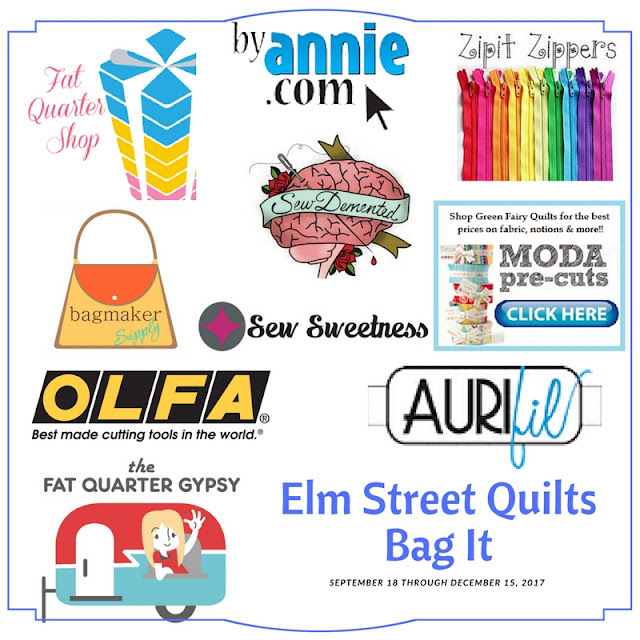 Any bags you make and share starting September 18 earn you an entry to win a prize from our generous Bag It sponsors. Share via Instagram or your blog starting September 18 and then join the link-up. See Bag It Participant Guidelines for proper social tags. More about these awesome sponsors soon. For now, just know that these prizes are just amazing. There is almost $1,000 worth of prizes to be given away to randomly chosen lucky participants. For more information on sponsors, overall event guidelines, please visit the main event page and take a minute to read through the Bag It Participant Guidelines. Bag It 2017 is going to be amazing. Make one bag or make twenty. I can't wait to see what you create! Interesting. I may have to have a go at bag making again. Hmm, maybe I should be contemplating Christmas gifts. 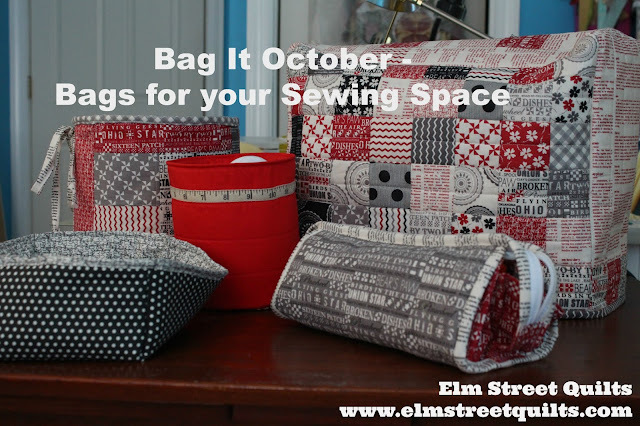 I have a new pattern to share during this fun event! Can't wait for the fun to begin! 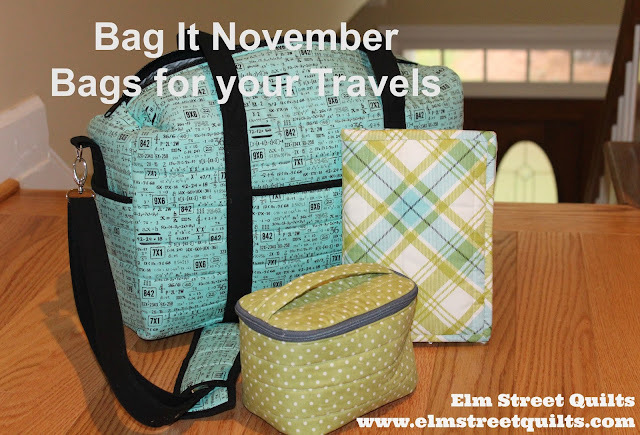 Looks like many neat bags! Hope to get a few made. Thank you again for the fun! I will be making a couple along the way for Christmas gifts~ I think we are going to have an old fashioned home-made gift giving event this year!